This section describes how to change the theme, site title, site description, and site base URL in your AtoM application. Customizations beyond what can be achieved in the user interface are covered in the Administrator manual under Theming. 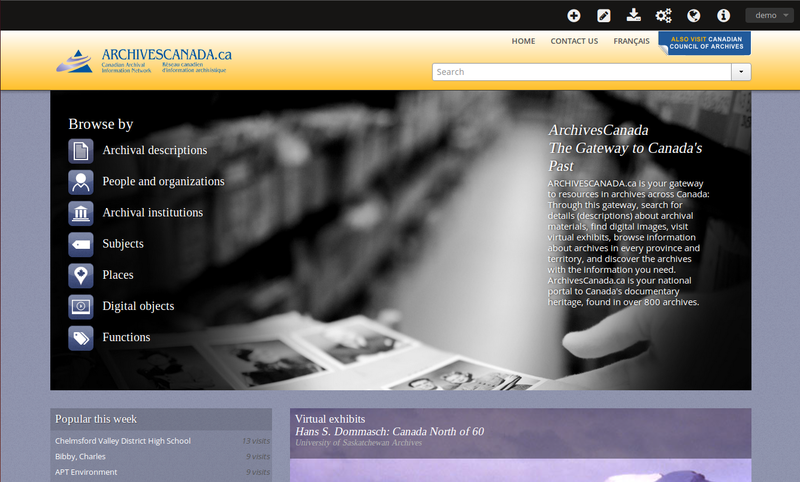 AtoM 2 ships with 2 themes: the default Dominion theme (grey, white and black with the AtoM logo) and the Archives Canada theme (yellow, blue and white with the ArchivesCanada logo). 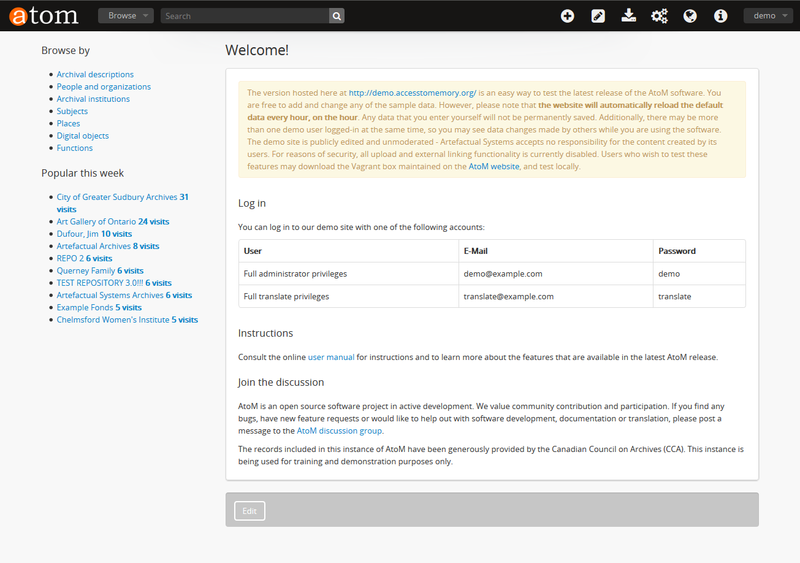 Click on the Admin menu in the main menu located in the header bar and select Themes. Click on or scroll down to Default page elements. 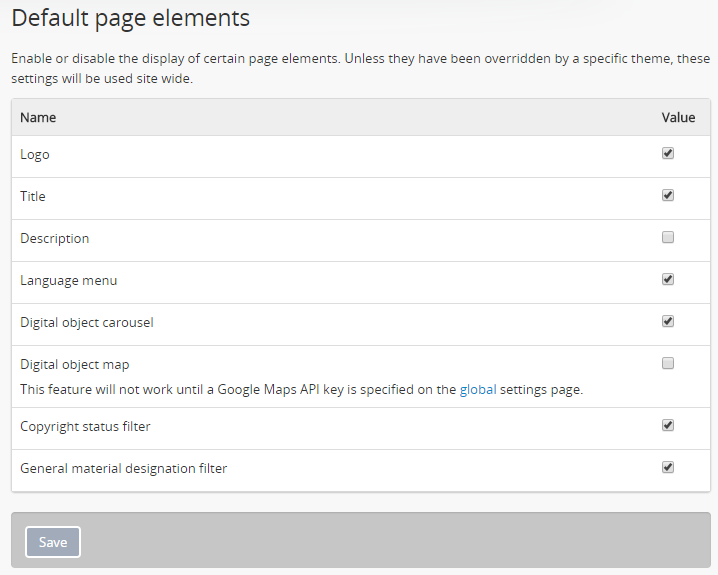 Check or uncheck the boxes beside the elements you would like to add or remove and click Save. Click on or scroll down to Site information. Update the text in Site title, Site description, and Site base URL as desired, and click Save.